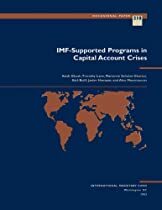 This paper reviews the design of and experience with IMF-supported programs formulated in response to capital account crises in the 1990s, focusing on the experiences of eight countries: Turkey (1994), Argentina (1995), Mexico (1995), Indonesia (1997), Korea (1997), the Philippines (1997), Thailand (1997), and Brazil (1998). The capital account crises that occurredin the mid- and late-1990s posed particular challenges for the provision of financing and for the design of macroeconomic and structural policies. The IMF suggests that modalities need to be devised for official financing along with private sector involvement.